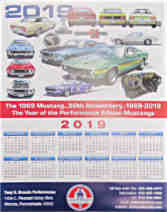 Tony D. Branda Shelby & Mustang Parts has been your source of restoration parts and accessories for 1965-73 Mustangs, 1965-70 Shelby and Cobras since 1975. Our selection of Classic Mustang Parts and Accessories is one of the largest in the country. Thousands of parts in stock today !! Now in stock! Free with your order of $30 or more. Limit one Calendar per Customer, per order. If you add more that 1 to your cart, you will still only be shipped 1. If you want to add it without the minimum order of $30.00, we will NOT include it in the order. This is for new orders only, and cannot be applied to past orders. HURRY AND GET YOUR COPY NOW. SPECIAL SUPER PRICE LIMITED SHELBY REGISTRY PRINTER OVERRUN SALE. AT HUGE SAVINGS BELOW HALF-PRICE TO YOU. THESE ARE BRAND NEW JUST PURCHASED OVERSTOCK-----100 COPIES ONLY. 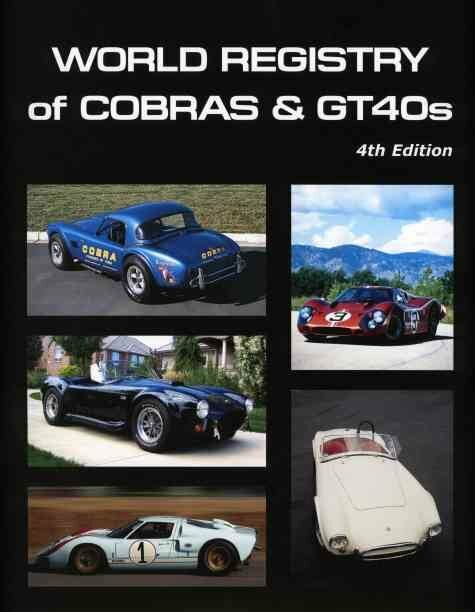 CARS AND MISC SHELBY RACE PRODUCTION CARS AT LESS THAN HALF RETAIL PRICE. OVER 7 POUNDS OF RACING HISTORY WITH 1,618 PAGES AND 2,848 PHOTO'S. Would you like to receive emails about upcoming promotions? Join our email list. Free with an order of $30.00 or more, limit one per customer. Free with an order of $35.00 or more, limit one per customer.